Along the line of my quest for knowledge, I have always come across this cliché that Nigeria is a land of milk and honey: Arable land, mineral resources, and a large and enterprising population; variables that make a nation great. Regrettably and in spite of all of these, we have been in a pitiable situation. Whenever I ruminate over these conundrums, a whole lot of rhetorical questions keep agitating my mind. 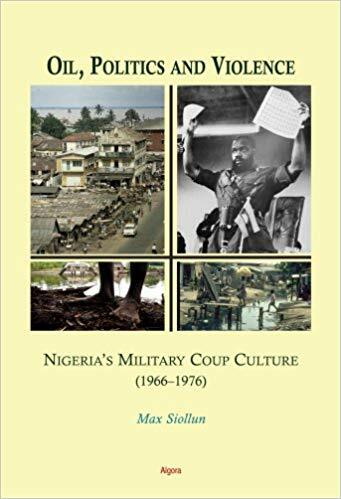 Setting my eyes on this book, its title, We Are All Biafrans, only heightened a sense of curiosity in me towards finding out why we are described by one of the age-long canker worms we have been battling to do away with as a country. However, from the outset, as someone who has always shared patriotic feeling with each and every individual that believes in the Nigeria project, I did not see this book as only a work of art, which must be appreciated by its enthusiasts. Rather, I saw it as a national question that must be answered, and by way of a review. I set out with a clearly spelt out mission of finding out why we (Nigerians that abhor the word Biafra), would be described as such. By this, the author has offered these disgruntled youth agitating for a sovereign state of their own an olive branch. Going further through the book, it appears however that the agitation Onumah describes has more to it than meet the eyes, because he metaphorically describes all of us as Biafrans, as long as we are seeking to confront the crisis which is a product of the feeling of alienation and marginalisation due to our deeply flawed federalism. He believes that such feeling is arguably widespread from the south to the northern part of the country. Hence, the basis for the author’s prophesies that Nigeria is sitting on a time bomb that could go up anytime. He argues that Nigeria as a country has paid dearly for allowing politics to trump patriotism and wasted much time and resources doing nothing and going nowhere. Now, before undertaking an analysis of the book, it is important to know that this great book is a compendium of the author’s published articles in both traditional and online news outlets within the last three years (2013 to 2016), grouped into chapters one to five. Reinforcing the above statement, the fourth chapter, ‘Of scoundrels and statesmen’, focuses on some individuals and groups in and out of government whose actions have either enriched our polity or reinforced it as the giant of Africa only in name. In the chapter, the author clearly spells out how most of our leaders have always failed to walk their talk and how this inability has torpedoed our growth and unity. In the next chapter, Chapter five, ‘Last Missionary’, the author reminds us that we are living in a deeply fractured nation and we could only ignore that reality at our own peril. He adds that unless we sit at a table to negotiate the terms of our co-existence as a people, our country would continue to ‘go round and round’. “There are millions of our compatriots across Nigeria for whom this country provides no succor, there are millions who feel they have no stake in Nigeria, millions who feel they been left out of the gains that independence ought to bring.” pp.164. As much I appreciate Onumah's intellectual contributions towards actualising the Nigeria Project, I think this project is bigger than him and all that have written about it. That notwithstanding, this work of art would go a long way in evoking a positive thinking in the readers and Nigerians as a whole. Essentially, the book is intended to sustain the reader's interest, remain true to the empirical evidence and deliver a message, all at the same time. It is a wonderful keepsake for all those who want to understand why Nigeria is not work and what needs to be done. In addition, this book is written in a simple, straightforward language to the understanding of anyone with a smattering of the English language. The font size and type face too is reader-friendly. One thing readers of the book may find as its shortcoming however is the fact that some of the articles are not presented in a chronological order which makes it difficult for the reader to come to terms with the chain and sequentiality of the unfolding of events. Such shortcomings slightly impede one’s understanding of the sequence of events presented in this epistolary tome. It is hoped that future editions of the book will correct these and a few typographical errors noticed. All in all, readers will find it very informative and those saddled with the responsibility of leadership in the country may find in it a useful guide in tackling some of the problems troubling the nation.